The mission of the Afghan Peace Volunteers is to build a critical mass of nonviolent relationships for a green, equal and nonviolent world without war. We believe that revolution for a better world is grounded in nonviolent relationships, so we reject hatred and revenge, and we nurture equal relationships with nature & all human beings through local communities that connect with the human family worldwide, working together as a strong 99% to build a green, equal and nonviolent world without war. 3. Nonviolent world without war: Abolish war and weapons, nurturing a non-violent, critical pedagogy. 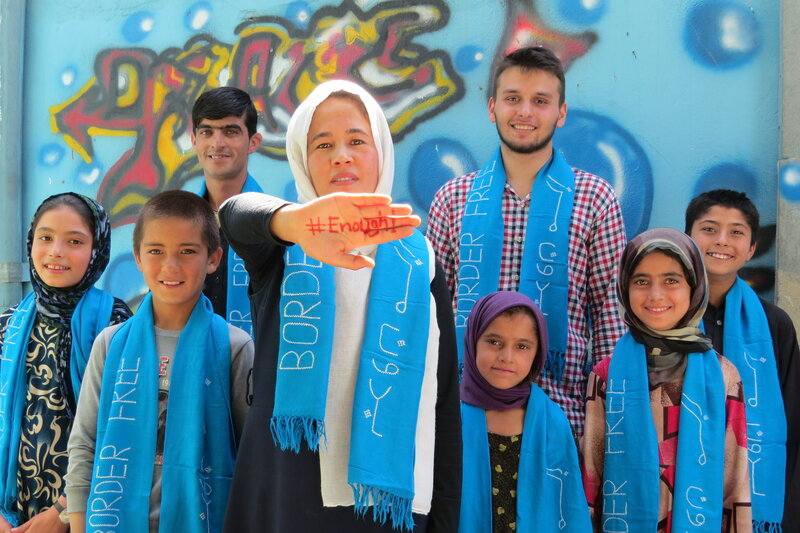 This is the first Centre in Afghanistan that is dedicated to nonviolence. The Afghan Peace Volunteers do not work for the benefit of any political group or religion. They are registered with the Ministry of Justice Afghanistan ( registration certificate number 2956 – 24/12/1390 ) as an Afghan civil society volunteer organization.